Day 7 – 1 October. 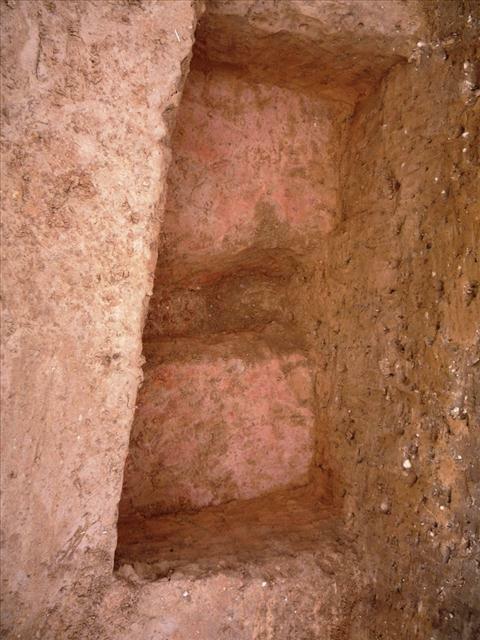 Work is concentrated in three trenches, with digging of half sections along some lengths and spot features in others. 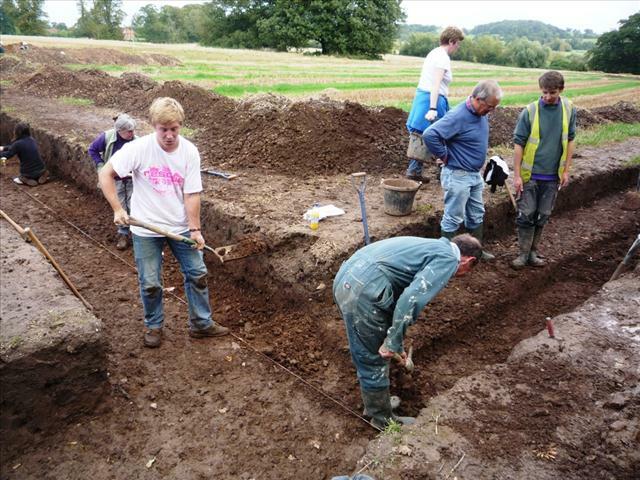 Part of a ditch, possibly pre-Roman, is uncovered in a section of Trench 2 while another section produces only a considerable number of pebbles. 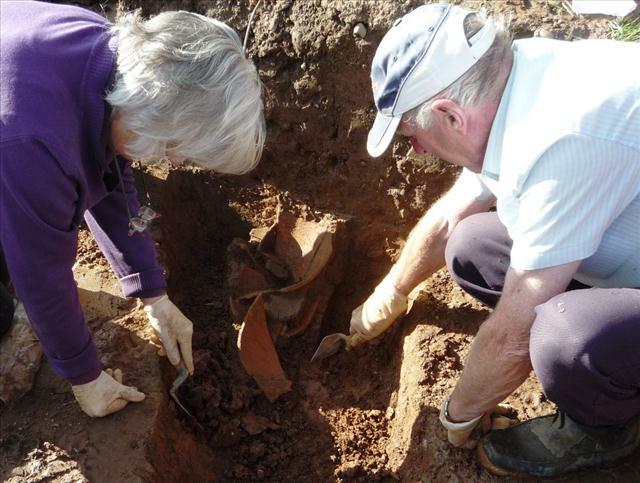 The largest pot base yet found emerges from Trench 6. A heavy shower slows progress in the afternoon. 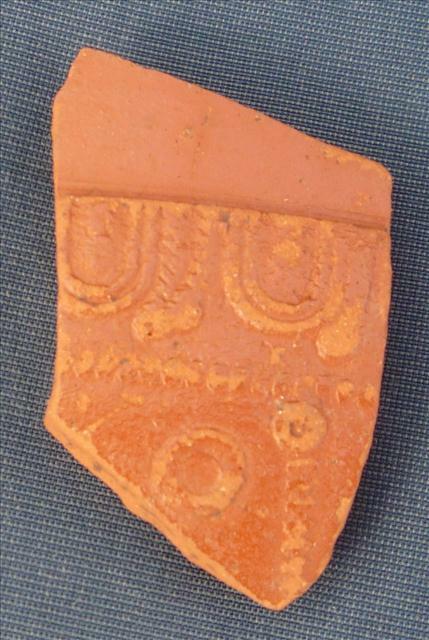 Day 8 – 2 October. 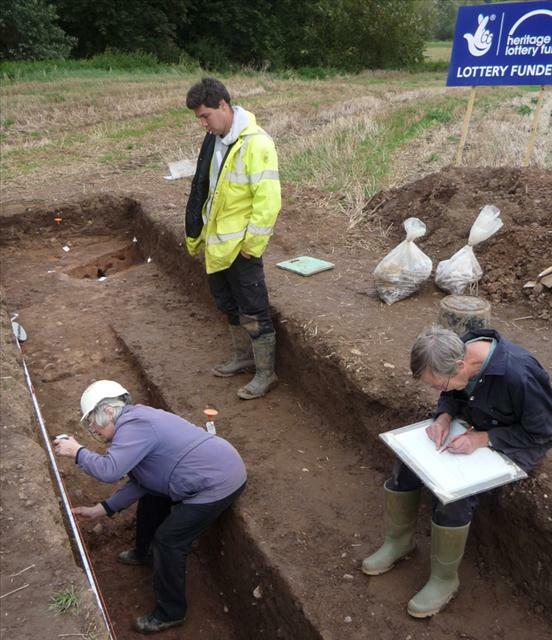 Steady rain in the early morning prevents any work to begin with, so everyone goes back to school for a lecture by Jon Webster on how to complete context sheets accurately. 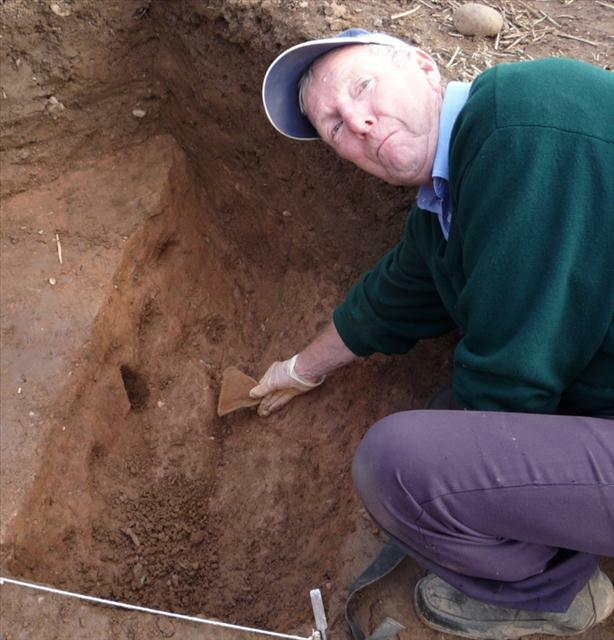 He stresses the importance of describing deposits by texture, colour, composition and inclusions (finds), as well as additional comments on factors that may affect the deposit, such as contamination from ploughed soil. Then on to identifying stratographic and physical relationships, which allow the evolution of the site to be analysed context by context, like separate frames in a film. Finally, interpretation – what the observer thinks happened within the feature. 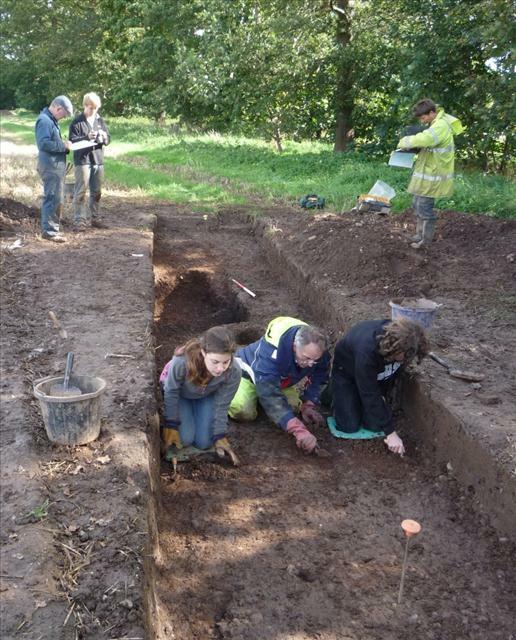 At the end of the session, everyone realises why filling in paperwork accounts for half the time spent on a dig. Luckily, by 11am the sun comes out and people are able to return to the trenches. 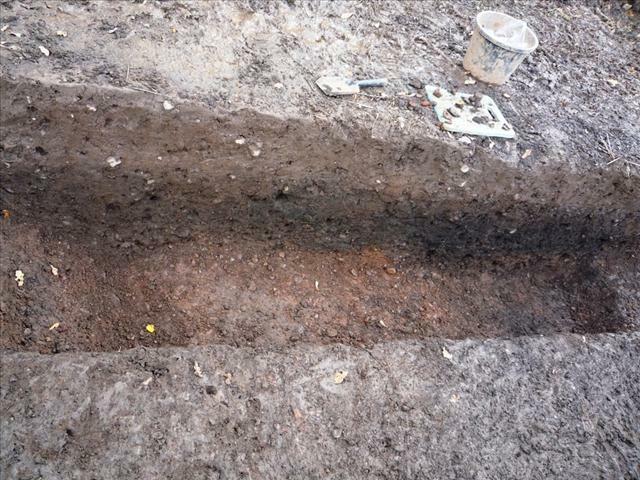 The rest of the day is spent enlarging existing features, one section of Trench 2 revealing the cross-section of a Roman ditch. 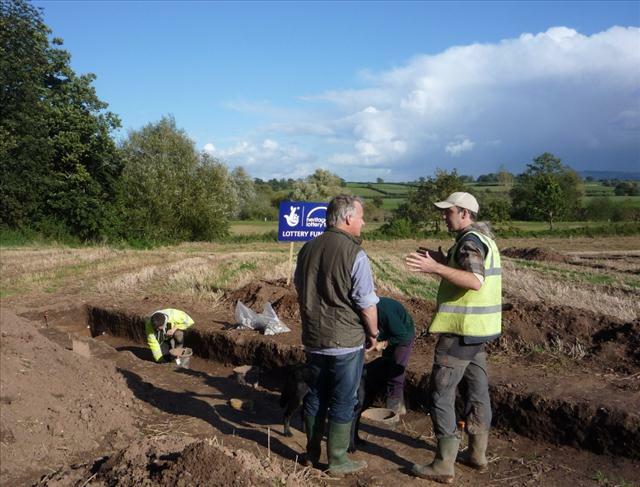 Some volunteers go with Jon to make an initial examination of Trench 8, the lowest lying of the excavations which, in the early days of the dig, was flooded by the River Severn. 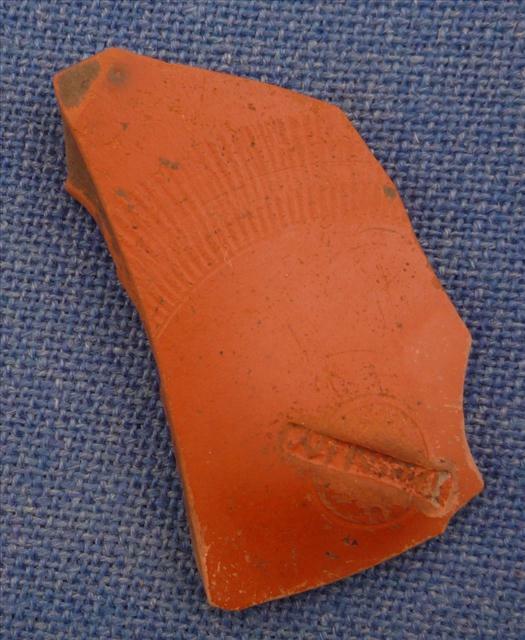 Day 9 – 3 October. 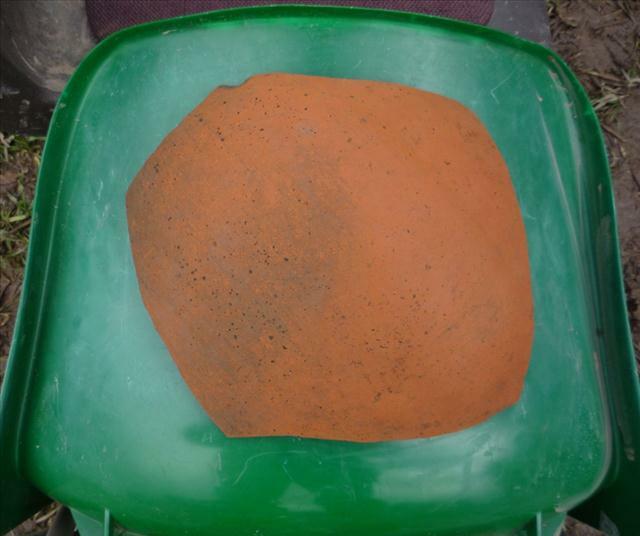 Overnight rain makes some features waterlogged, but buckets and sponges soon get rid of the water and the underlying soil is easy to work. 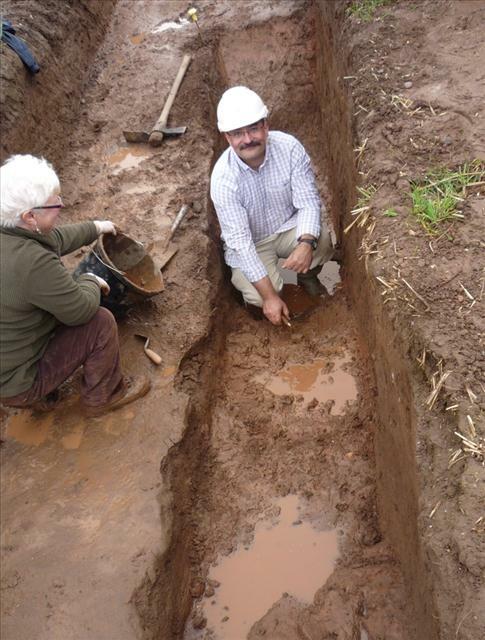 A productive day with many large segments of pot coming out of the ditch in Trench 2 and pits in Trenches 5 and 6. 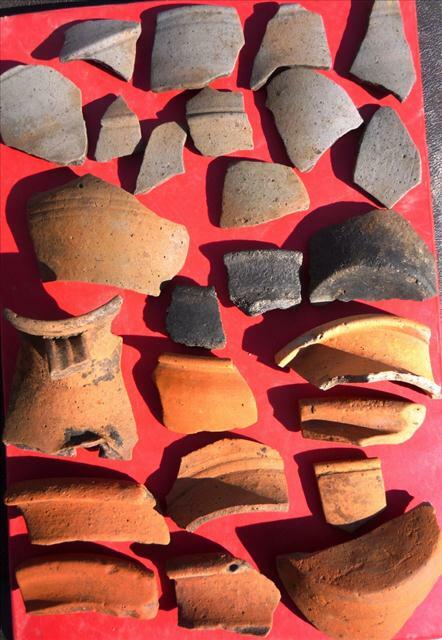 Day 10 – 4 October. 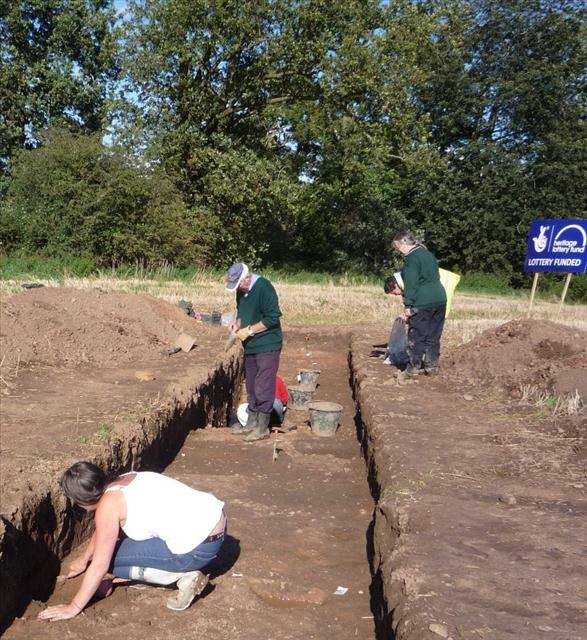 The archaeologists ensure that volunteers meticulously record progress in each feature. 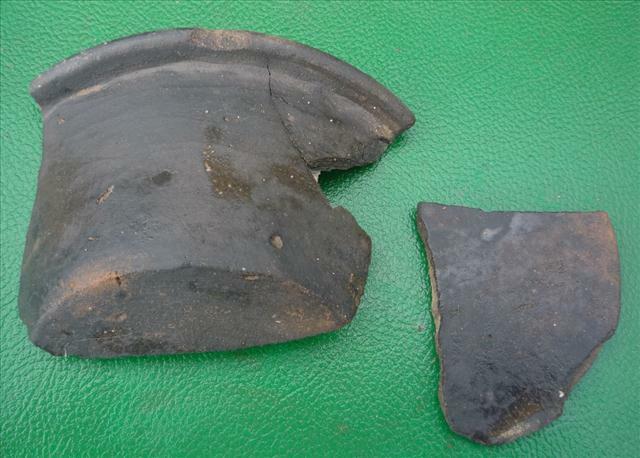 A finely decorated piece of Samian ware is found in the ditch of Trench 2, Trench 6 yields the major part of a black burnished ware pot and almost at the end of the day the largest segment of pot yet found emerges from Trench 2. 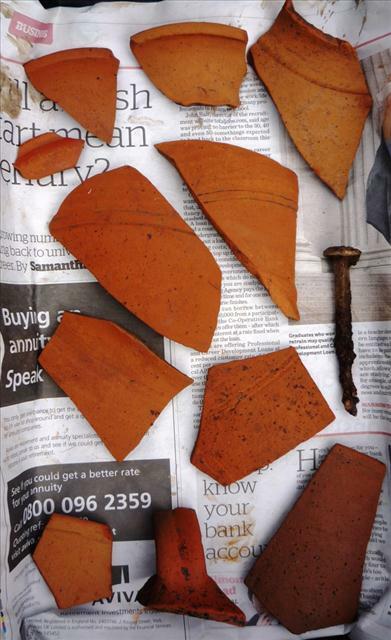 Day 11 – 5 October. A start is made on cleaning Trench 3 by boys from Hanley Castle High School and quite soon they find a piece of stone-age worked flint. 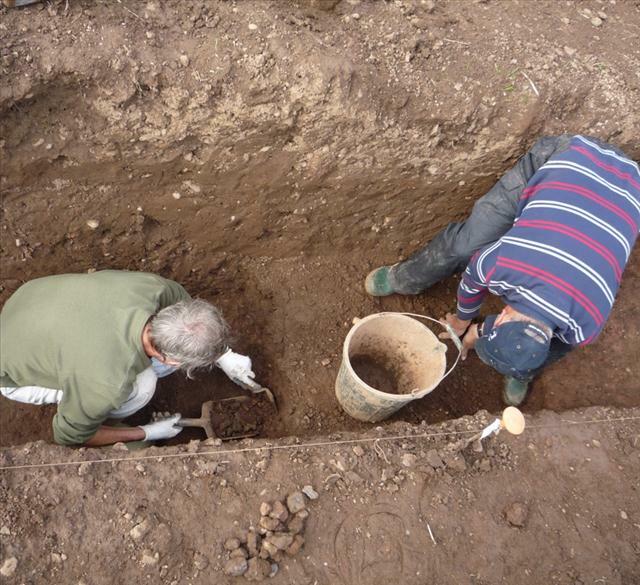 Work continues in the other trenches, recording and recovering finds. Day 12 – 6 October. 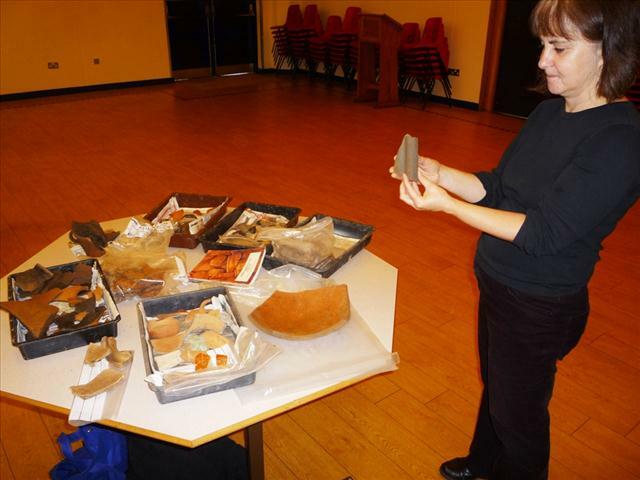 The community dig Open Day when Roman pottery expert Dr Jane Evans talks about finds at Hanley Castle High School and visitors are taken on conducted tours of the site by archaeologists Derek Hurst and Jon Webster. 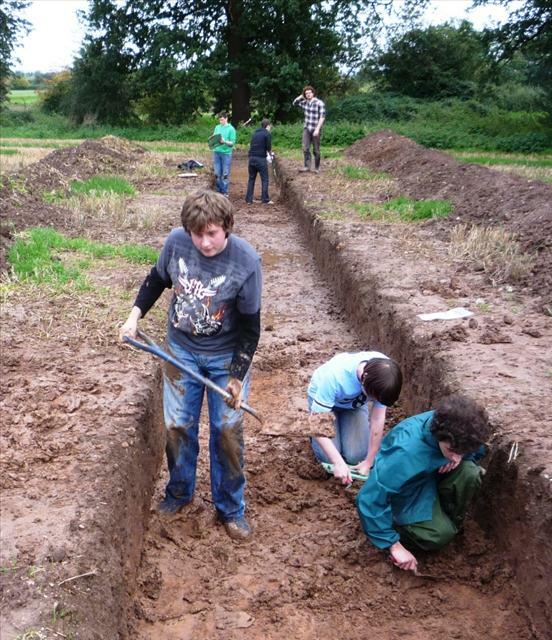 Volunteers continue working in the trenches on the last day of the lottery-funded exercise. 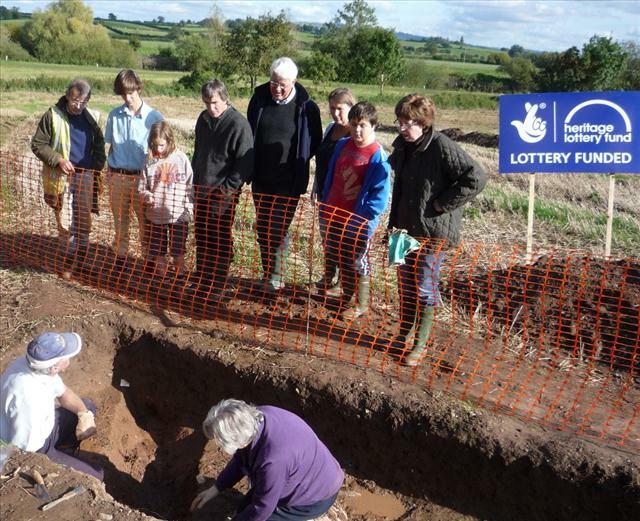 Since not all features have been fully recorded and interesting finds continue to be made, The Hanleys’ Village Society decides to fund a further four days of supervised digging, starting on 9 October. For news of Week 1 click here. For news of Week 3 click here. Click on any of the above pictures to view a larger version or watch on the slideshow below. 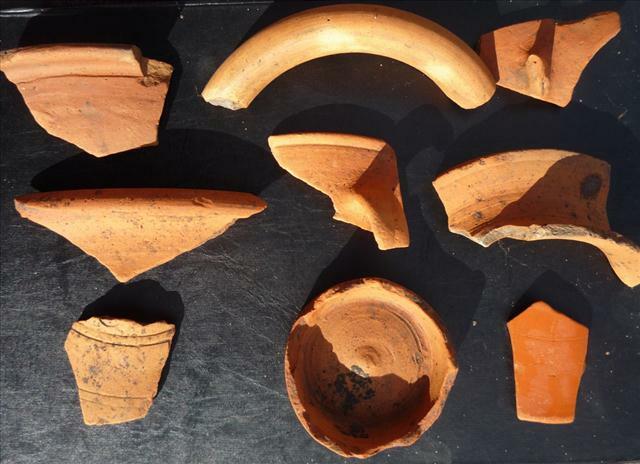 This entry was written by Malcolm Fare, posted on Oct 6, 2012 at 9:00 pm, filed under Clubs and Societies, Community Dig, Talks and Workshops, Village News, Village Society. Bookmark the permalink. Follow any comments here with the RSS feed for this post. Trackbacks are closed, but you can post a comment.